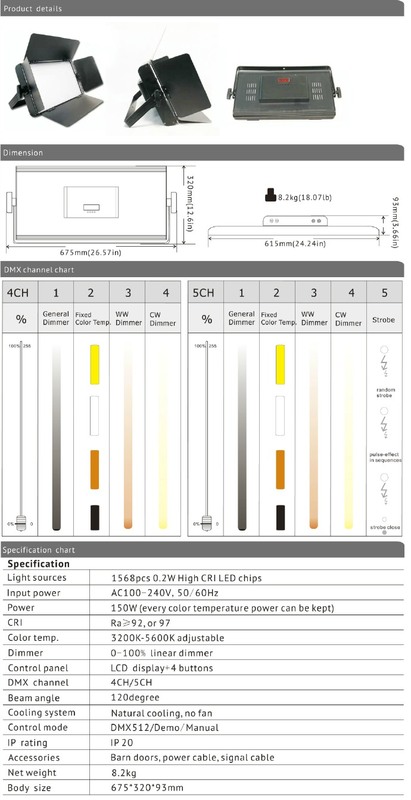 This light equips two color temperature high cri and brightness led chips, used vangaa linear dimmer technology, to realize the product can meet the strict request when the radio and television shooting. No flicker, smooth linear dimmer, no drawing line when filming. 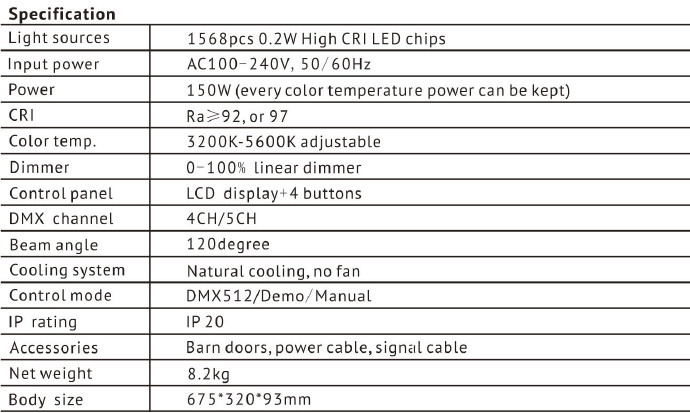 The light is very suitable for large-scale tv station, studio, multi-function room and other video places. The light body adopts outside frame design, the modeling is beautiful, installation very convenient, safe and reliable.